Ian Chambers, the man in charge of Moshi Monsters firm Mind Candy, doesn't want to talk about the company's recent history. "We have talked about the past," he tells us sitting in the board room at the company's London HQ. "There's no secret that the company has had a few difficult years. I joined a year ago and really it's about the future." There's good reason for Chambers' eagerness to look forward. The past few years haven't been kind to Mind Candy. The company was built on Moshi Monsters, the online digital kids game/platform that spawned a hugely lucrative licensing business. For multiple years, it was a leading light in the kids market, spawning books, toys, clothes and everything in-between. It even had a movie and an album that briefly kept Madonna from topping the charts. The company's founder Michael Acton-Smith would collect numerous awards. He and his company had become a true British success story. Was Mind Candy too slow at moving to smartphones? Perhaps. But regardless, as can happen with kids IP, the brand began to fade from the playground. Toy sales plummeted, user numbers fell, and Mind Candy's efforts to diversify - including the ambitious World of Warriors game - didn't do enough to replace the lost income. When Chambers came on-board as CEO 12 months ago, he joined a business that was failing to service its debt, and facing the threat of bankruptcy. "I wouldn't have joined the business if I didn't think there was potential," says Chambers, whose CV includes stints at an eclectic line-up of games companies - including Ubisoft, IGN and GAME. "I knew exactly the state of the business when I joined. Let's keep in mind, we still have 250,000 kids playing on Moshi web every single month. The wheels haven't come off this business. "The stories in the press are all around the debt. As with any business that's growing, it was looking at financing this and that. So there was this debt taken out. That's perfectly normal. What you need to show in any situation like this is progress." Chambers has succeeded in doing just that. The debt has been restructured, fresh investment has been put in to the business (to the tune of $1.5m), and the investors are speaking confidently of the company. So what is it that has convinced the money men that Mind Candy is worth rescuing? "I knew exactly the state of the business when I joined. Let's keep in mind, we still have 250,000 kids playing on Moshi web every single month. The wheels haven't come off this business"
"We've created a new vision," insists Chambers. "We asked: 'What is Mind Candy exceptional at?' The answer is creating worlds. "What we are trying to create is an ecosystem. At the centre is our business line: 'creating worlds that fire the imagination.' Then the key things are characters, story, tech, personalisation and family. If we get that right for the IP, then what do we create around it? "We don't think about just a single product. Often people are saying to us that they've seen our new Petlandia book. But Petlandia isn't just a book. That's just one of the products we are creating." Ah yes, Petlandia. This is an online concept where people can create a virtual version of their pet. 650,000 people have done so, and Mind Candy has monetised this via what it calls its "personalisation platform". The firm has created a physical book that people can order, and it features their own pet. Chambers says it has sold £1m worth of these books from a standing start. "The pet market is fascinating - it is a $100bn global market. And there's loads of disruption in tech, wearables, personalised dog food... you name it," begins Chambers. "There is an incredible number of businesses cropping up in this space because of people's love for their pets." The company is talking to 'celebrity pets' to try and get them involved in Petlandia, it has created digital videos and t-shirts... the firm hopes to tap into the social media boom around cats and dogs, and so far it appears to be working. "The book is print-on-demand that we create and send out," Chambers explains. 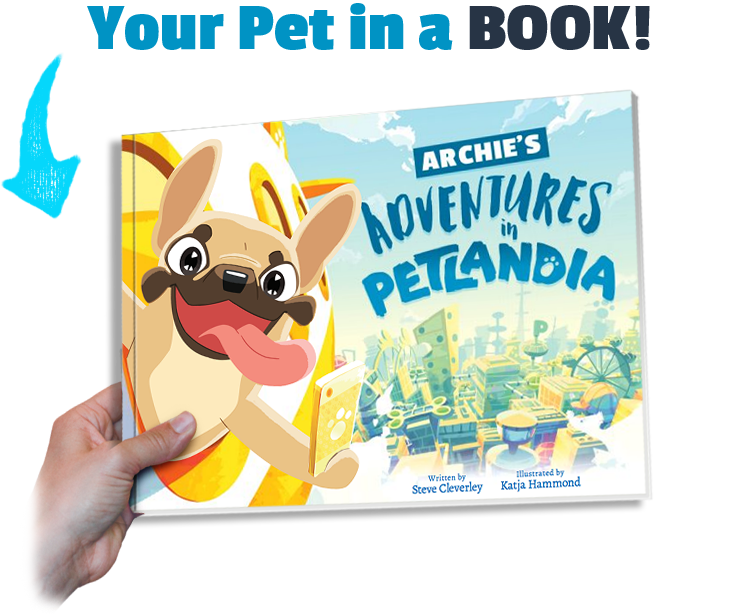 "It features the owner and the pet and where they live, and various other little personalised details. Very simple. And people love it. We have this Net Promoter score [which measures customer experience and predicts business growth] that is off the scale basically. We've had 6,000 responses and it's still at 81. It's an incredible market that we've tapped into. We've sold 40,000 books." Chambers says that although Petlandia is key, it wasn't enough on its own to convince the investors. "We needed more than one idea," Chambers said. "We have been looking at the Moshi formula for some time, and Michael [Acton-Smith] and I were sitting there and imagined what would happen if we applied this personalisation platform to Moshi. That's where Moshi Monsters Egg Hunt was born. So whereas Moshi Monsters is adopt one of six monsters, in Egg Hunt you hatch your own unique moshling, which you can look after and care for. That connection we want to build through the app needs to be powerful. As it was with Moshi Monsters through the web." The Egg Hunt app is off to a strong start. In its first week it reached No.2 on the free kids app charts, beaten only by YouTube, and was downloaded more than 600,000 times. The app has been carefully built with kids in mind. It invites kids to play every day, but doesn't demand much of their time and even includes educational elements. And best of all for parents, it's completely free with no in-app purchases. ""We don't want that situation where kids are asking mum for £1.99 for an in-app purchase"
"Your next question will be how do we monetise it," Chambers correctly predicts. "This is where our Moshi Monsters heritage comes in. We have our licensing partners, and we also have our personalisation platform, where we sell items to parents - calendars, t-shirts, posters, whatever - featuring this personalised moshling. "In the game, once you get to the right point, you can share your character with the world. Now, at that age, your friends aren't the ones on social media, they are in the playground. So parents can buy personalised trading cards, featuring their kids' moshling. And each one has a secret code. You get these cards, you give one to your friend at school, they give you their card, and you put that code into their game and their moshling appears. So the sharing happens in person, the way that five and six-year-olds share. "How this works on a grander scale with retail, is that we have normal trading cards. There is a trading card for every piece of content and character in the game. Each card has a scratch panel at the back, and you can either scratch or swap. It is a one-time use. You can then use the code behind the panel and the item will appear in their game. It is a digital-physical trading card game." He continues: "We don't want that situation where kids are asking mum for £1.99 for an in-app purchase. Has anyone really cracked this issue yet? That's an open question. But we are feeling very confident that we have a formula. We have the IP. That's the important thing. The success of Pokemon last year shows how strong a character IP can be." Books, calendars, pet avatar creators, posters, YouTube videos (the firm has created a series of Moshi Monsters shorts to launch Egg Hunt)... Mind Candy doesn't seem to resemble a games company anymore. "That's not true," Chambers insists. "Moshi Monsters: Egg Hunt is a game and that is the heart of the whole experience. Petlandia... yeah, right now, in terms of how we're building Petlandia, it is digital content and physical products. But I see - and there are no plans for this yet - but I see your pet being in a game on your phone. The pet is a character that can live anywhere, and we have game developers and artists and all the things you'd expect. They're just working on Moshi right now. 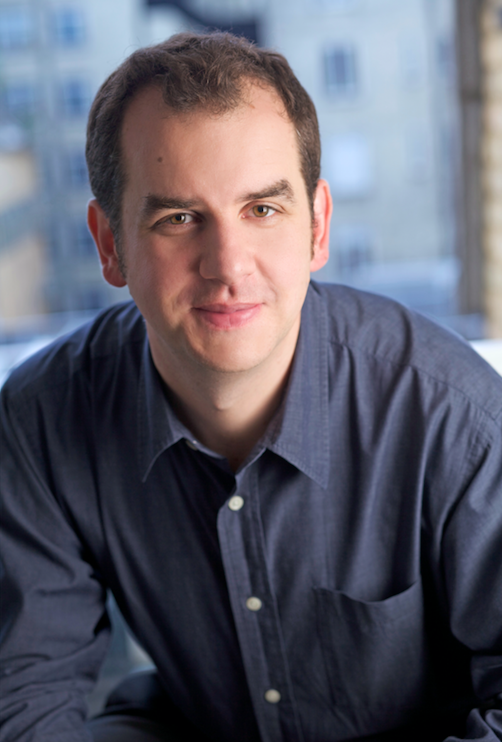 "Instead of me thinking of us as not so much a games company anymore, I think of us as being a successful IP business. You have to look at all of the ways your audience interacts with entertainment. So apps are one way, I am fascinated by Facebook bots. I am fascinated by Alexa, and talking to technology. You can see we have a HTC Vive over there, we have been prototyping VR stuff. At the right time we will do that. AR... that is a natural fit for what we're doing as well. "I don't think of it as 'games' or 'not games'. I just think of it as entertainment"
"I don't think of it as 'games' or 'not games', I just think of it as entertainment, and we use the channels that are right for the audience at the right time." There are other things bubbling behind the scenes at Mind Candy. Chambers tells us that the firm is trialling a Moshi Monsters subscription box concept, and then there's World of Warriors, which is coming to PS4 soon. "Businesses go through different cycles," Chambers opines. "We now have a clear vision. Two worlds - two IP - that are growing. And the investment was made at the right time to enable us to continue that growth. The debt has been restructured based on our growth plans. "This is based on us proving the momentum. We have real numbers. Petlandia is not an IP created on a powerpoint slide. We have made something, we have people engaged with it, and we have sold £1m worth of books from a standing start. That is no mean feat. "With Moshi, we have got all the heritage of that brand, we have all the content, and with more coming. But we also have these wonderful relationships with licensees. "This is money being invested. We've had other investors come to us since the announcement, too, and we'll look at that. "This is not a scenario where there are some negative connotations."